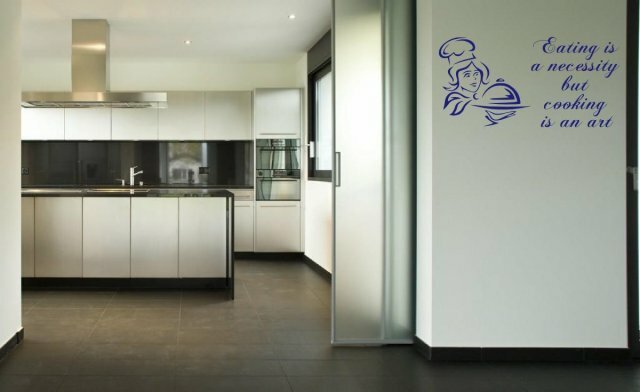 Embrace your daily routines in your kitchen with this stunning vinyl sticker composition. 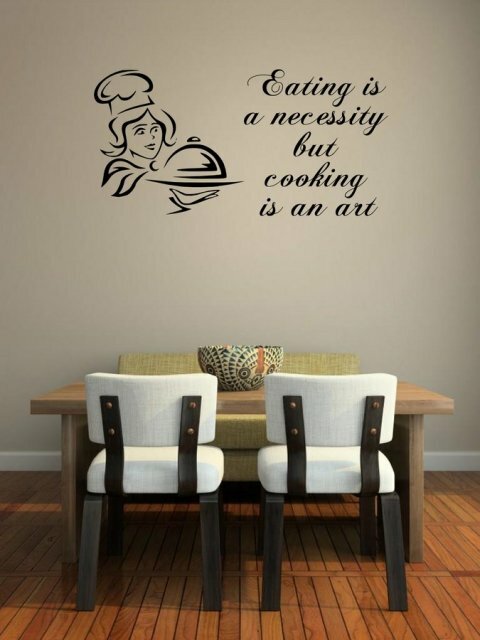 Beautifully created wall decor can withstand daily tear and wear being hardwearing and weatherproof is suitable for all smooth surfaces in your kitchen. Let this decal create an easy talking point whether on a painted wall, furniture, mirror, door or window. 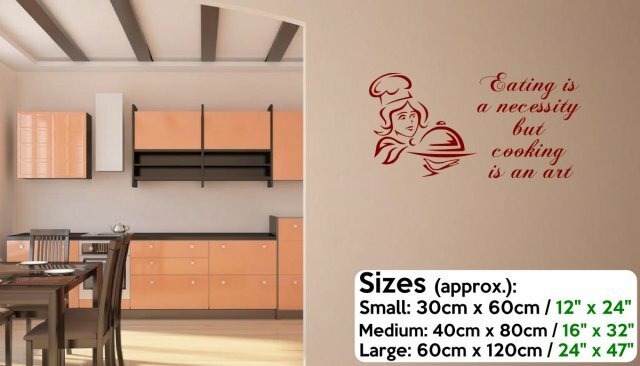 Choose your preferred colour and size to custom is this design to fit your requirements.